Protecting your business with high-quality security systems is always a great way of keeping yourself protected from theft. The world has become increasingly focused on security in the world of information, and the threat posed by physical vulnerabilities has not been forgotten as technology moves forward. Key security of trailer lock is an integral part of your business when it relies on allowing your customers and employees to use large, valuable assets. Improper maintenance of your keys will inevitably result in loss of time and revenue. That is an unfortunate statement considering there are effective and reliable methods and tools available to make trailer lock key management easier than ever. Some discussion needs to be done regarding the traditional lock & key system and the intelligent electronic trailer lock tracker system to understand the necessity of up gradation from traditional lock system to Smart Electronic Lock Tracker. A lock owner used to have the key to let themselves into their space and keeping access away from all other people who did not have the key. This is the simplest way, isn’t it? If the lock owner wanted to share the space or property with someone else, say family members, relatives or friends, he had to personally visit a locksmith. The locksmith would make an exact copy of the metal key using his tools. Afterwards he needed to meet the person for whom the key was made for to hand over the duplicate key or he had to physically go and post or assign someone to deliver the key to the person. It is important to take stock of every potential way the security of your keys might become compromised. Misplacement is the most common culprit, for example, when an employee forgets to actually place the key back in the secure locker before heading home, or the keys going missing entirely. Mismanagement is the leading cause of misplacement; this happens when the key isn’t properly tracked in the company system, whether it is actually missing or not. For enclosed trailers, you need to worry about more than someone taking the entire trailer. What you are storing inside could be significantly more valuable, and if you do not have the right type of trailer lock for your door, thieves can target the contents of your trailer rather than the whole trailer. AssetTrackr’s Smart electronic trailer lock tracker is an intelligent electronic lock to control container door (close/open) remotely. It can be also used as a GPS tracker to trace container remotely (location, speed and more) when needed. The container door is opened by who, where and when can be monitored. It enables the operators to keep tracking their containers when there is no constant power source continuously. It also gives full control to custom officials as it moves along the supply chain route from source to the destination. 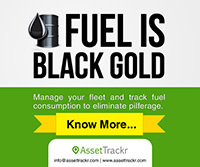 Operators can track their containers and receive alarms on the customized software platform. AssetTrackr electronic trailer/container lock tracker is very robust, and it is with the protection grade IP67, perfect feature for dustproof and waterproof. It is easy and simple to install onto the container. The lock is with 12000mAh rechargeable lithium battery inside, which ensures 7-30 days with one time battery charge. The electronic trailer lock tracker can lock the container door to protect the loading goods and can be unlocked by RFID card and SMS and APP remotely. Built-in both GSM-GPS module so that remote online monitoring and real-time tracking can be possible. Safety monitoring, can set alarms for illegal unlocking, wrong password entry, swiping card alarm, E-string brake alarm. While you are looking for the best trailer security, be sure to make the investment in a quality trailer lock. 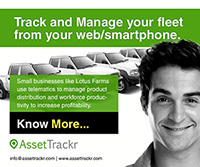 You can maximize your trailer and cargo security with AssetTrackr’s Intelligent Lock Tracker solution.